Shorya stared at the system of tunnels and caves embedded in the ground several feet in front of her. This mining complex was one of the spoils of their recent victory at the Lightor base. Though they considered it a spoil of war, it was still necessary to ensure that the mining complex was truly abandoned before the Shadikill could begin to make use of it. This was the reason Shorya was here. She and Sullivan had brought their respective units on a scouting mission to ensure that there would be no surprises awaiting the squad when they arrived. Surprises like that damn general at the base, Shorya thought to herself. That little surprise had almost led to the deaths of Dylan, Walton, and of course herself, as well as almost leading to the failure of the mission. That is until Dylan miraculously managed to defeat the Lightor general in single combat, while injured. Shorya knew the squad would be telling that tale for months, as well they should. Though it was definitely on the higher end of Dylan’s battlefield achievements, it was hardly the only seemingly impossible thing Dylan had managed to pull off in the heat of the moment. She wasn’t quite sure how he did some of the things he did, and neither did he based on their conversations with each other. Dylan always told her that he couldn’t quite explain how he did the things that he did, just that he did them because he had to, even if that included fighting through otherwise debilitating injuries to take down an opponent many considered to be invincible. As far as debilitating injuries went, Shorya was still a little sore from being shot by the Lightor general a few hours ago, but a few health stims and some assistance from Dylan quickly got her back in the proper condition to go out into the field again. Though Dylan offered her a period of rest and recovery during this scouting mission, she turned him down. “So how do you want to do this?” Sullivan spoke up from behind her. “What would that be?” Shorya inquired. “When I die, you have to let my ghost haunt you for the rest of your life,” Sullivan said with a grin. After a moment’s consideration, Shorya shrugged responded, “Deal!” Then, after gathering their respective units together, Shorya and Sullivan stepped into the darkness of the mine. As she went down into the mines however, she couldn’t quite shake the feeling that something didn’t feel right. They had been down in the caves for a few hours, sitting and waiting in the darkness, but even a couple of hours after the attack on the Lightor base, they had not run into anyone else in the mines. If they succeeded however, then it would easily be worth every minute they had spent waiting. Even so, Arthur found himself increasingly bored to the point to which he slumped down on the ground, leaning against the wall of the mineshaft. They had finally arrived! “Positions everyone!” Arthur ordered through the comm channel. This was finally his chance to make an impact in this war. He would take the first step in ushering in an era of peace and prosperity for his people. Arthur quickly stood up and pressed his armored body against the wall of the mineshaft. Jaira was leaning against the wall across from him, wearing her own set of armor. She nodded his way before seemingly spontaneously vanishing. All around the mines, Arthur knew his combat droids were doing the exact same. For this mission, each of the combat droids had been equipped with cloaking devices, as had he and Jaira. The Shadikill would not be able to see them until it would be too late. By the time these brutes realize the error of their ways, Arthur thought to himself, they will already be dead. “Hell yeah!” Jaira said, the excitement in her voice as obvious as it was in his own voice. They leaned up against the walls, waiting and thinking for a couple of minutes before they saw movement in the distance. As they watched, a shadow grew on the floor of the mine. A soldier walked closer and closer, until they passed by. Then another soldier passed by and another one after that. “Is there any confirmed visual on the Shadikill prince?” Arthur asked through the comm channel. “Are you sure? !” Arthur asked with a failing hope. “Do we proceed?” another droid inquired. A breeze swept through the courtyard of the Jedi Temple, one of the few parts of the temple not enclosed in the green transparisteel of the pyramid that now encased it. Jedi Master Amoye Ilu stood beneath a large tree in the center of the courtyard with his fellow Councilor Nalaniel, and the Grand Master Mongooku. 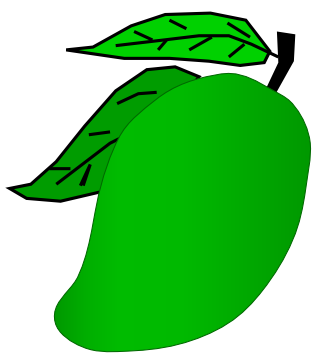 It wasn’t just any tree however, it was the tree that bore the fruit of the Emerald Mango. “Would either of you like a mango?” Nalaniel asked. The Female Zabrak hung suspended in midair amongst the branches of the tree. Amoye could make out the faint outline of her four telekinetic arms. Three of them were wrapped around the branches of the tree, holding her up among them, while the fourth was reaching for one of the emerald mangos. After a moment of pondering the blademaster’s words, the Sage master gripped one of the mangos and tossed it at him. As the mango flew towards Ilu, his blade sprang to life in his hands. For less than a second, the emerald mango was consumed in a violet blur as Amoye almost casually whipped his blade in various directions. Then, Amoye Ilu swiftly outstretched his left hand, and halted the mango mid-flight with the force. The mango lay suspended in the air in front of Ilu, now in twenty slices, each slice of almost equal size to the one next to it. There was a brief moment of silence as Nalaniel passed an emerald mango to the Grand Master. “Do you know the history behind the Emerald Mango?” Nalaniel inquired. “I’m afraid I have not been as diligent in my studies of the archives as you have Nala,” the Echani responded. Amoye Ilu listened with great interest as he began to eat his mango. Amoye Ilu savored the sweet taste of the emerald mango as it slid across his tongue. No wonder Nalaniel likes these so much! he thought to himself. “I couldn’t have said it better myself,” Nalaniel responded. Dylan sat in the command center of the base, holding the Lightor general’s helmet in his hands. It’s exterior was gleaming white, but the yellow blood of the Lightor was splattered all around the inside. He could see it through the shattered green transparisteel visor, also flecked with the general’s blood. This would make a good war trophy, Dylan thought to himself. This general was definitely very high on the list of his most impressive kills, but not quite as impressive as his defeat of the Cyberbeast Scorpiox. He wasn’t quite sure how he managed to kill Scorpiox. Come to think of it, he wasn’t entirely sure how he had managed to kill this general either. He had fought harder and faster than the general, but according to Barre, that should’ve been impossible based on the specs of the Lightor power armor, and Dylan’s own physiology. He should not have been strong enough to overwhelm the general but somehow he just was. Somehow he had been able to transcend his physical limitations. Somehow, he achieved the impossible. He didn’t know how or why he was able to do what he could do, but he took great amusement in how it boggled the minds of his Tech unit every single time. Fernin and Tormax never seemed to fully believe the tales of his prowess however. Dylan found this rather ironic seeing as they both told similar tales of their battlefield feats. It was of little consequence to Dylan however, because he knew that his accomplishments were superior to the stories they told about themselves. He wasn’t entirely the type to brag and boast about his accomplishments, but he had no shame in taking great pride in them. As Dylan looked up, he saw Barre walking towards him with a datapad. “Ah Barre! Have you and Tech finished the diagnostics?” Dylan inquired. “No we did not find any alcohol anywhere in the base,” Barre answered, cutting Dylan off. “Could I ask you something Dylan?” Walton inquired. “Of course my droogie, ask away,” Dylan said, giving his usual reply to such a question. “Remember that mission in the abandoned city where we took down that cyberbeast, and you said you’d make me your Supreme Commander some day?” Walton began. “Yeah,” Dylan responded, not entirely sure of where Walton was going with this. “Yes Walton, why do you ask?” Dylan asked, now very confused. “I only asked because Shorya has consistently performed better than me on the battlefield, saved your life in a few months more than I have in a few years, and according to Sullivan the two of you talk a lot at night,” Walton began. Dylan had no answer for that query. “What are you saying Barre?” Dylan asked, starting to get a little irritated with his friends. “We are just friends,” Dylan denied. “Shorya and I are just friends!” Dylan repeated. By this point, the young prince was blushing. Despite his outward denial, he was fully aware of his feelings for her. Darth Angelo walked nervously through the halls of Darth Odious’s temple. The Iktochi Sith Master was so afraid that it took every ounce of self control he had to keep his fear from showing. Darth Odious had summoned him to his throne room, and Angelo didn’t need to be the head of the Sphere of Foresight to know what Odious wanted with him. As Angelo came closer and closer to the Dark Lord’s throne room, he could feel Darth Odious’s presence growing like a shadow during a sunset. His presence felt cold and oppressive, almost repulsive. And as the magnitude of that presence grew and grew, a sense of dread and fear spread over him. Darth Angelo was fully aware of the reasons Darth Odious had summoned him. It went all the way back to how Angelo had ascended to the Sith Council in the first place. His predecessor, Darth Maltrix, was a former Voss Mystic, had become increasingly obsessed with the Dark Holocron. She had kept saying that the Dark Holocron would “show her the way” and that “the secret to the future was in the Dark Holocron,” to the point bordering on dangerous obsession. As Maltrix’s hand and apprentice, Angelo had a front road seat in viewing her grow more and more obsessive. Eventually, Maltrix managed to acquire the Dark Holocron, but kept it to herself rather than turning it over to the Dark Lord. Angelo remembered the day Darth Maltrix held the Dark Holcron in the palm of her hand. Angelo watched as her body began to glow with a red aura, her eyes blazing red with the power of the Dark Side. And then, it happened. The voice that emanated from the holocron was the voice of a man. It sounded very sinister and seemed to echo throughout the room. It said, “Look upon the past.” And then in a fraction of a second, the highlights of the seemingly eternal war between the Jedi and the Sith flashed before both of their eyes. It was a vision far beyond any either of them had ever experienced before. They saw the Force Wars on Tython and the creation of the Jedi and Sith Orders. They saw Emperor Vitiate consume a planet and build an empire. They saw Revan bounce back from Light and Dark as he struggled to achieve Balance. They saw the Thought Bomb detonate on Ruusan, before the all powerful Sith’ari Darth Bane forged a legacy of Darkness. They saw Bane’s Legacy fulfilled by Darth Sidious, as the Jedi Order under Yoda fell. They saw the Jedi and Sith Orders both torn down by the Chosen One. They saw Luke rebuild the Jedi Order, and the Sith’s desperate attempts to rebuild themselves, until finally the One Sith and the Lost Tribe of the Sith united and forged a new order. They watched the war they were now in play out from the beginning to their current place in history. When the vision ended, the menacing voice spoke out once more. “One will come to end this war. One born from the Dark come to end the Light.” Even to this day, Angelo could remember the feeling of that voice reverberating through his mind and soul. The power that voice conveyed was beyond anything he had ever felt before. This included the power of the Dark Lord himself, though it did little to ease Angelo’s comfort now that Odious demanded his presence. Darth Angelo remembered Maltrix growing more and more obsessed with the holocron and prophecy. Angelo remembered her devolving into madness. She spent every waking moment obsessing and fixating over the Dark Holocron and it’s prophecy. She was planning on sharing this prophecy with the entire Sith Order to rally them, convinced that everyone needed to hear this great truth. Darth Angelo could not agree less with this conviction. As a member of one of the Sith Intelligence branches, one of the first fundamental lessons Darth Angelo learned was that knowledge and information are a form of power. To freely give information of this magnitude to the masses would be to sacrifice power, and this was definitely not the Sith way. It was at this point that Darth Angelo realized that Darth Maltrix had become too weak to head the Sphere of Foresight. He realized that this was his chance to rise to power. Left with no alternative, Darth Angelo informed Darth Odious about the prophecy and the Dark Holocron in Maltrix’s possession. When he learned that one of his councilors had been withholding one of the greatest Sith artifacts of all time and information with monumental implications, Darth Odious was infuriated. He summoned Maltrix to the temple, ensnaring her in his trap. When his men searched her temple however, the Dark Holocron was never found. Odious tortured Maltrix for information, but all she would say was that the Dark Holocron was far beyond his reach. That night, her screams filled the night sky of Korriban, her pain almost tangible to the other Sith on the planet, and by the time it was morning, no sound would ever be heard from Maltrix ever again. When Darth Maltrix had died, the Dark Lord allowed Darth Angelo to take his place as Head of the Sphere of Foresight, under the agreement that Angelo could never speak of the prophecy to anyone. The rumors had reached Angelo’s ears however. He and many of the other Councilors had heard of this Jedi prophecy. A prophecy the Jedi Grand Master was spreading around that was almost identical to the one Angelo and Maltrix had heard that night, except with the roles of Light and Dark reversed at the end. In this Jedi prophecy, the war was to be ended by one born of the Light who would destroy the Dark Side, rather than the other way around. Darth Angelo of course had absolutely nothing to do with this prophecy, but nonetheless, Darth Odious had drawn the distinct connection between the Jedi prophecy, and the one Angelo was forbidden from ever speaking of, and now Angelo was walking along the exact same path Maltrix had once walked. The path to the Dark Lord’s throne room. As he approached the doors to the throne room, Angelo began to quiver with fear and doubt. The presence of the Dark Lord was practically suffocating him at this point. When he reached the doors, there were two guards and the guard Captain Carthage waiting for him.